West's Mortuary, Inc. | Mr. Carlton Davis "Golf ball"
Mr. Carlton Davis "Golf ball"
Memorial services for Mr. Carlton Jerome Davis affectionately known as “Golf Ball” will be held on Saturday, August 19, 2017 at 11:00 A.M. in the Chapel of West’s Mortuary with Rev. W.R. Campbell officiating. Mr. Carlton Jerome Davis was born on March 8, 1960, in Baltimore, Maryland.to the late Mr. William Davis, and the late Mrs. Willie Mae Davis. At an early age Carlton joined the Mount Salem Baptist church where he was a faithful member. 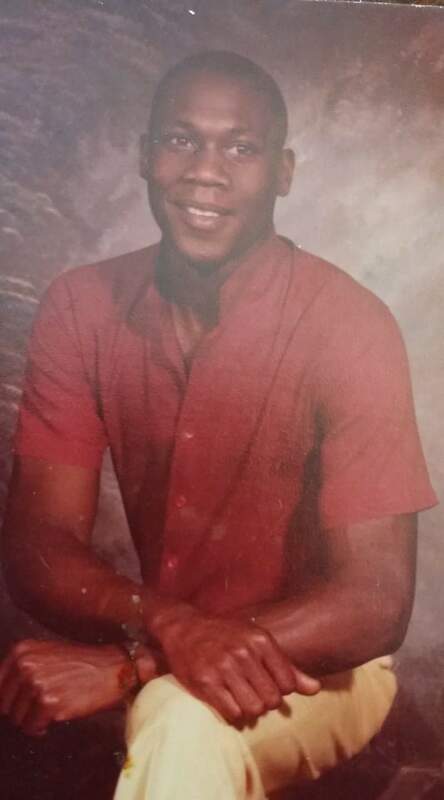 Carlton was educated in the Sumter County School System and he graduated with the class of 1979. He worked for many years at Davison Textron. He was well known by his peers and family members as a very hard working and family orientated man. On Monday, August 14, 2017 Carlton went home to be with the Lord. In addition to his parents, Carlton is preceded in death by his beloved sister Judith Davis-Johnson and granddaughter LaTorri' Sims. He leaves to cherish his memories, two daughters: Ms. Carneika Davis (Marco) and Miss Shanquesa Davis, all of Americus, GA; one stepson; Mr. Jermail Hammett of Warner Robins, GA; one devoted sister, Mrs. Theresa Davis (Jarvis Cody) of Plains, GA; one brother, Mr. William Davis of Albany, GA; two aunts: Mrs. Mary Dudley of Americus, GA and Mrs. Inez Stephens of Saxton, NJ; four grandchildren: Latavian Wilborn, Latavia Davis, Ja'Torrian Sims and Markari Cannon all of Americus, GA; three nieces: including a devoted niece Laswanda Davis-Hightower of Plains, GA, Miay Westbrook of Warner Robins, GA and Kamesha Davis of Americus, GA; three nephews: Kedrick Williams, Lakendrick Davis and Javart Davis all of Americus, GA; A host of other relatives and friends also survive. Teresa, you and my family have our deepest sympathy in the passing of your brother! Peace and blessings. May your memories cause you to smile often in the days ahead until you meet again. "There is going to be a resurrection" (Acts 24:15). My condolences to the family..you know Jehovah is the God of all comfort (2corinthin1:3 and 4) May you find comfort in knowing that your dear one is safe in the memory of god,who will remember every detail about him and bring him back again.